update Archive - Unlock all Secret Characters! The new Disney Crossy Road October 2016 Update has just been released. This time it's all about the new Aladdin movie. 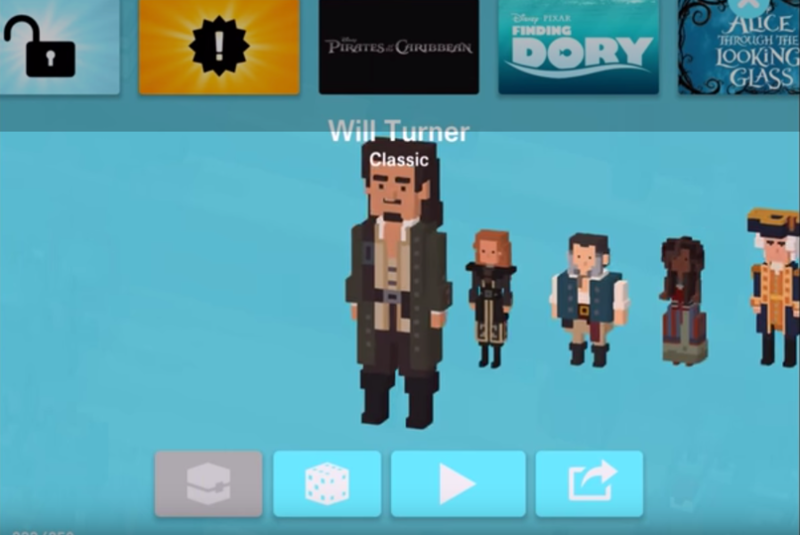 The new Disney Crossy Road September 2016 Update has just been released. This time it's all about the Monsters, Inc. mopvie. 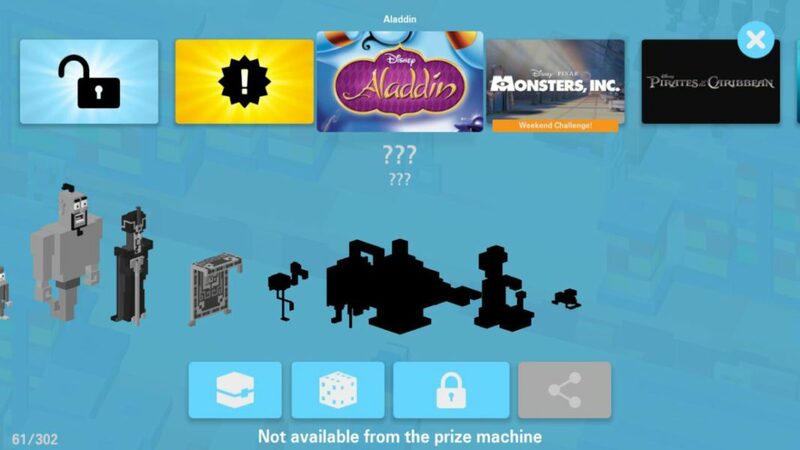 Collect 12 new figurines from the Prize Machine plus discover 6 secret unlocks! 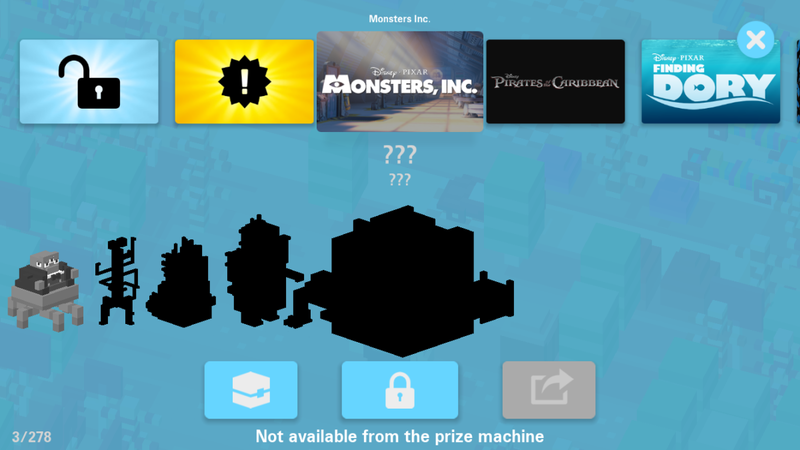 If you have any tips & tricks how to unlock Monsters Inc. secret characters, please write us comments here! The set consinsts probably of C.D.A Agent and many more . If you think differently, please write us comments here! The set consinsts probably of Babyhead (Toy Story), Chief Bogo (Zootopia), Crocodile (Jungle Book), Hook Hand (Tangled), Mr. Waternoose (Monsters INC) and many more . If you think differently, please write us comments here! The set consinsts of Boo, Mike, Celia, Sulley and Roz (all Monsters INC). Play as Sulley and find the Garbage Cube. Find and scare the Sim Kid in his bad 10 times.